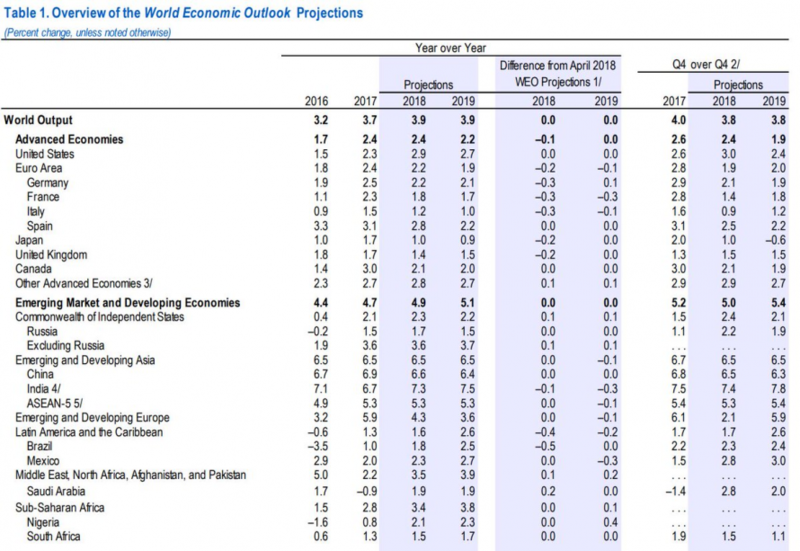 The Washington-sponsored IMF is out with its latest set of guesses at global growth, warning that amid rising tensions over international trade, the broad global expansion that began roughly two years ago has plateaued and become less balanced. The IMF still expects tax cuts to lift U.S. economic growth to 2.9 percent this year, up from 2.3 percent in 2017; but, citing proliferating trade conflicts, IMF chief economist Maury Obstfeld warned that "the risk of worse outcomes has increased" for the world economy. It kept its forecast for 2018 global growth unchanged at 3.9 percent for now, but downgraded many major countries. 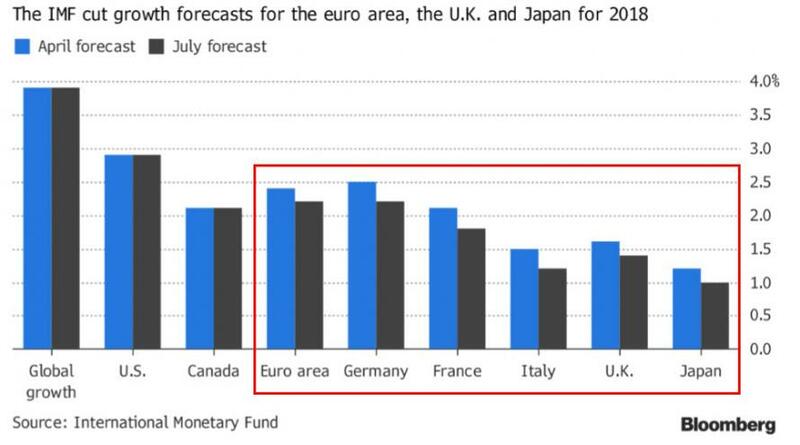 While the U.S. escaped thanks to a fiscal boost, the IMF cut projections for the euro area, Germany, France and the U.K. after weak -- weather-related -- first quarters and also lowered its outlook for Japan. As always, The IMF says that Federal Reserve policy is central to global financial developments. Given strong US employment and firming inflation, the Fed is on track to continue raising interest rates over the next two years, tightening its monetary policy compared with other advanced economies and strengthening the US dollar. Were the Fed to tighten faster than is currently expected, however, a broader range of countries could feel more intense pressures. 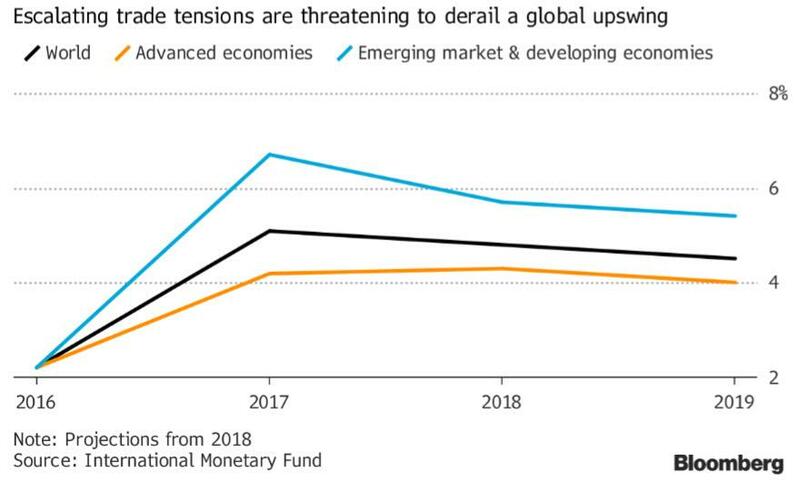 But the risk that current trade tensions escalate further - with adverse effects on confidence, asset prices, and investment - is the greatest near-term threat to global growth. "Financial markets seem broadly complacent in the face of these contingencies, with elevated valuations and compressed spreads in many countries. At the same time, however, high levels of public and private debt create widespread vulnerability. Asset prices are no doubt buoyed, not only by easy financial conditions, but by the generally still satisfactory global growth picture. 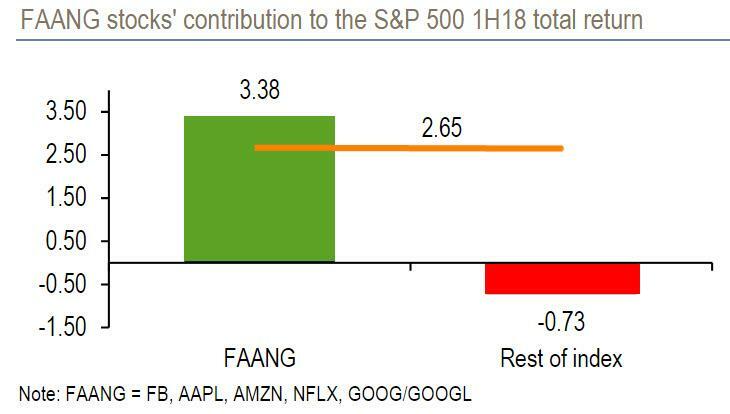 They therefore are susceptible to sudden re-pricing if growth and expected corporate profits stall. Supporting growth into the medium term—where trend growth rates are forecast to be lower for advanced economies and many commodity exporters—requires that policymakers act now to raise growth potential and resilience through reforms, while re-building fiscal buffers and guiding monetary policy carefully to keep inflation expectations well anchored on targets." Additionally, the Washington-based global financial institution warned governments that income inequality should become a priority. "Otherwise, the political future will only darken." 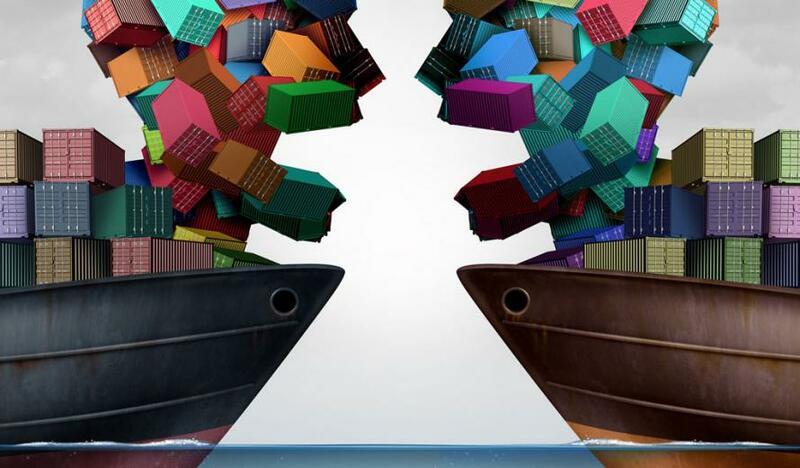 "While rising to these challenges, countries must resist inward-looking thinking and remember that on a range of problems of common interest, multilateral cooperation is vital. "